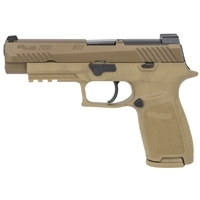 The SIG Sauer SP2022 Centerfire Pistol is the latest version of the popular SIG Sauer polymer-framed pistol. These pistols feature a durable, lightweight and wear-resistant polymer frame with the added tactical versatility of an integrated accessory rail. The slide is machined from a solid block of stainless steel and protected by SIG’s black Nitron® finish. It also features the SIG Sauer four-point safety system. 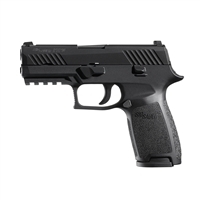 The SIG Sauer polymer-framed pistols have a reputation and proven track record of reliable performance in law enforcement.